Hi , I'm new on this forum. Thankfull to join this community. I already own a V4 rf 2016 and wanted to add a RSV 1000 V2 Mille. I just bought a black RSV 1000 2003 ( ZD4RPO120 ) in good condition , bike is not delivered yet to me on it's way fm transport. So if any one has experience was this closer gear ratio upgrade noticable fm previou Milles 2001 - 2002 models ?? up to 2000 the bikes had the small valve engine. later bikes 2001 to 2002 the engines had bigger valves these were marked RP on the engine/frame. Mid 2002 to 2003 the engines were marked NG signaling large valve and close ratio gearbox. Late 2003 the gen 2 production was commenced with new plastics and one plug per cylinder. Often it took years to sell the bikes so the date registered is later than date manufactererd. Your bike is probably an early 2002 bike. My bike is surely a 2003 model as per Chassis no : ZD4RPO12 Beside fm closer gear ration the tail piece and front mudguard were redesigned fm which tail cowl fm 2001 - 2002 models different. Gen 2 production 2004 - 2009 was commenced with new plastics and one plug per cylinder. it has a lot more people on it. above is a picture of the engine number, note the spec is after v990rp, the rp is there but not overly clear in the picture. 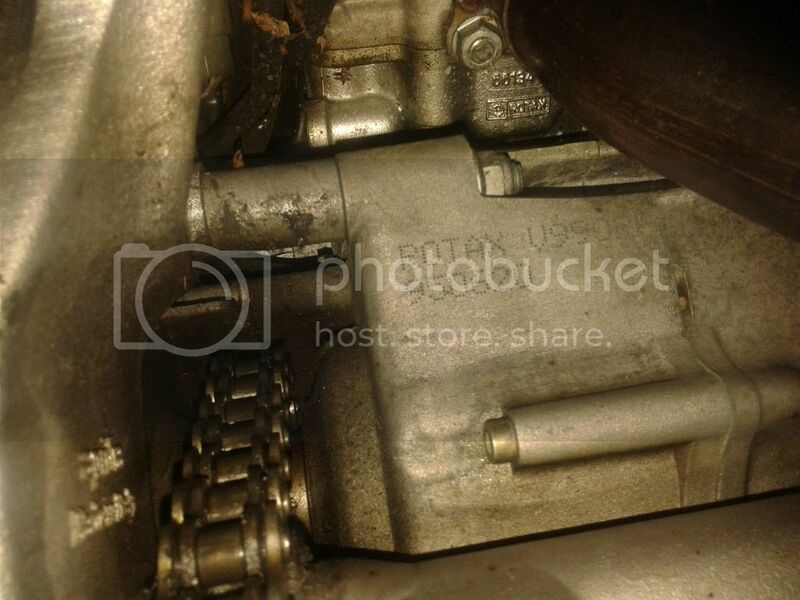 The location is the rear of the engine just inside the upper chain run. Last edited by Hertsrsvr; August 10th, 2018 at 12:06 AM.